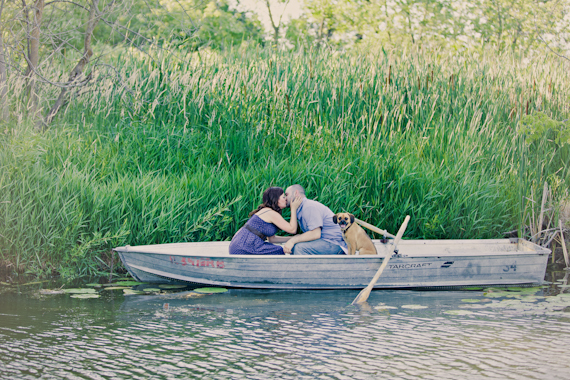 When we took one look at this gorgeous canoe engagement shoot, we couldn’t wait to share it with you! 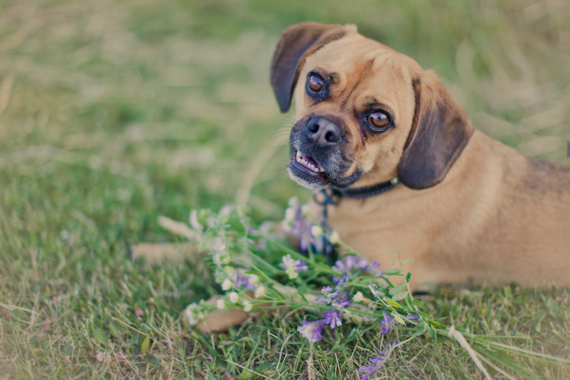 Christie and Hagop took their engagement session outside and opted for a totally scenic location with water, sunshine, an old canoe, tons of greenery, stolen kisses… and their adorable little pup even tagged along! 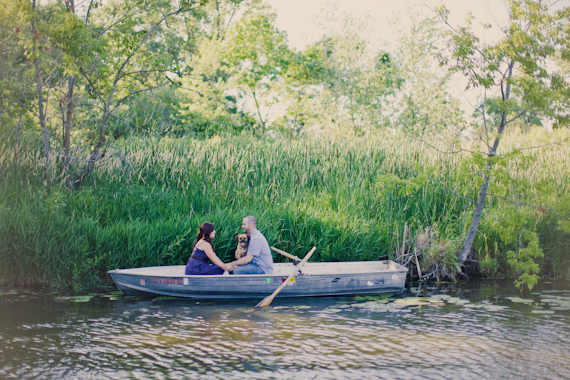 Read on to see this beautiful canoe engagement as captured by Kristin of Kristin La Voie Photography. Enjoy! If you loved this engagement shoot, check out Kristin’s website to check out amazing wedding photos, engagement shoots, and more! Kristin is a Chicago-based photographer but loves to travel. She is a member of the Emmaline Bride Bridal Book. See her listing here. 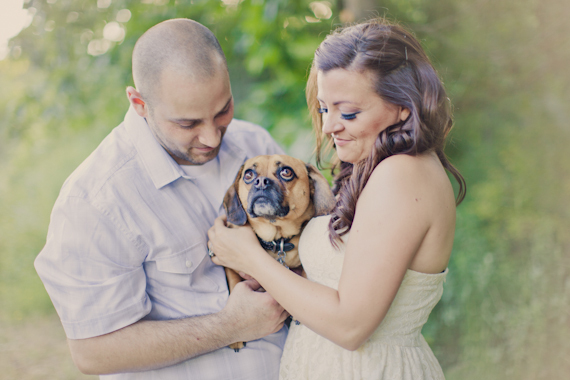 Photos copyright Kristin La Voie Photography. All Rights Reserved. Beautiful dog. I love the pink theme. very refresh romance !! i`m also like purple ,and so cute dog ! Thanks for sharing so creative engagement ideas. Engagement on the canoe is so romantic! must admit i’ve never been a fan of these rustic/woods/barn photoshoots, but this BY FAR is the best one i’ve seen. 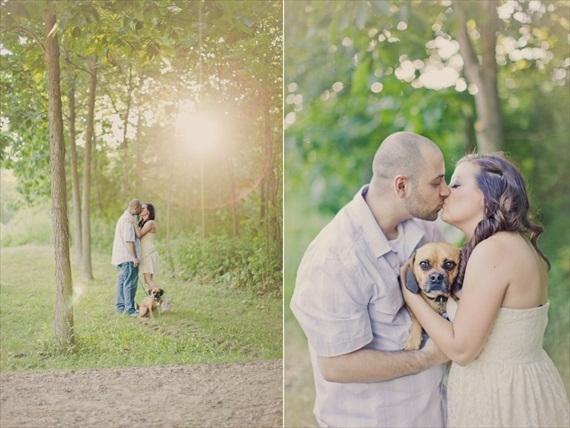 the photographer really captured their love for not only each other, but their dog, lol. amazing job!! These are BEAUTIFUL!!!! Wonderful work. thanks so much Emmaline bride! !